So, I was sitting down watching TV and my mum suddenly comes in and says "I forget to give you these to you for your birthday, I completely forgot!" whilst giving me a little River Island bag. My mum often does this, in February she gave me a box of chocolates that she had forgotten to give me for Christmas! Anyway I can't really complain. 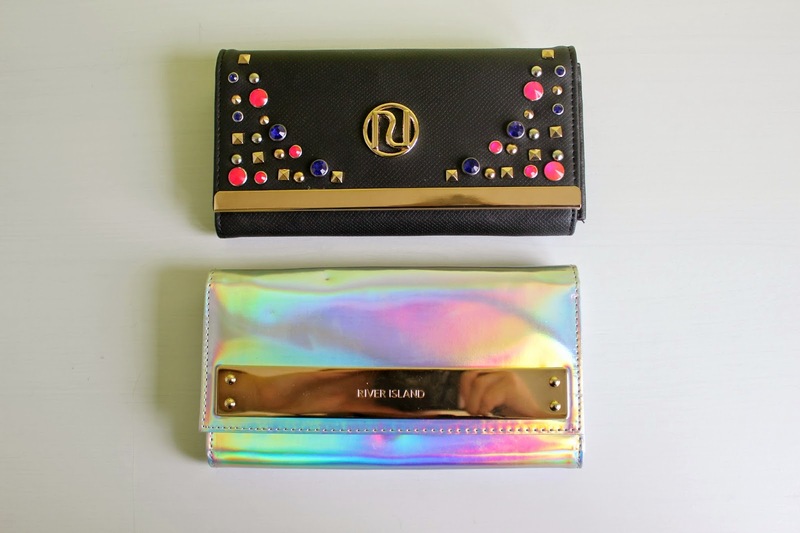 The little River Island bag contained two quite beautiful purses. However I'm not sure if they are still available and I don't know how much they cost, but they were just to pretty to not do a blog post about! Yes, they are quite OTD, but I absolutely love them! My purse at the moment is a little worn down, in need of replacing, Primark purse. So I was quite frankly happy that I had received two beautiful purses. They feel sturdy and good quality and have pretty detailing on them. The first thing I said to my mum was "Omg mum, how much did they cost?!" because I know that River Island purses can cost £25+. Turns out they were in the sale which reduced my panic and made me feel better. I always feel guilty when people buy me nice gifts, do you get that too? 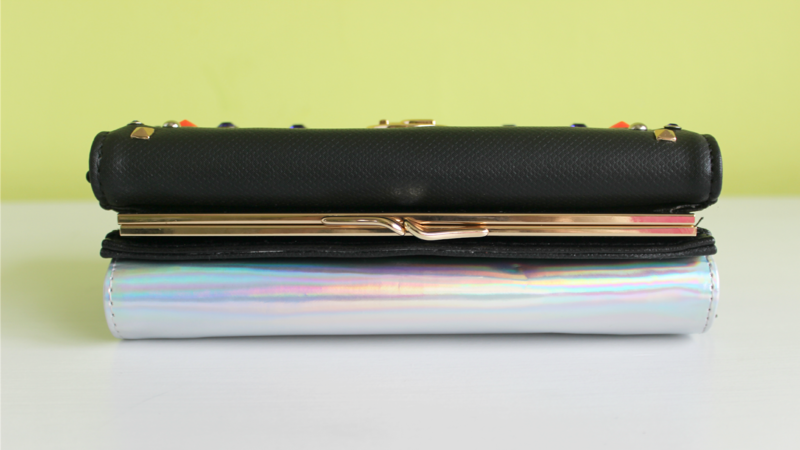 The first one is a shiny, holographic purse with silver inside. 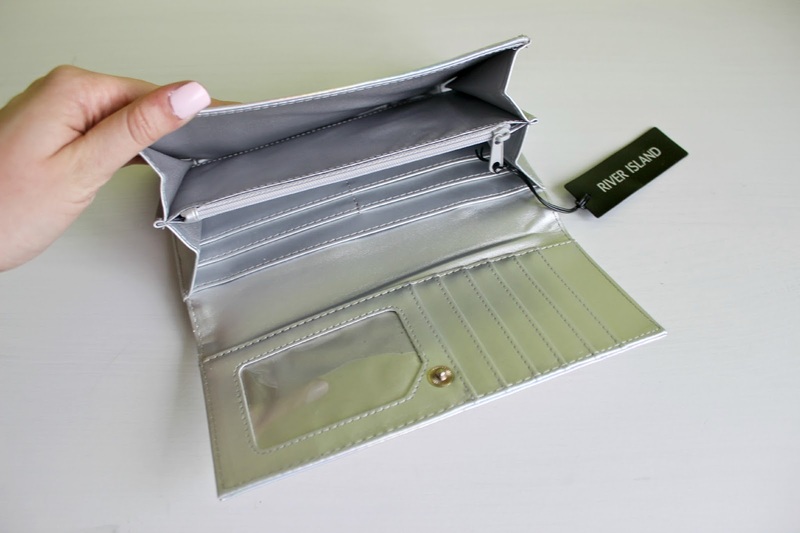 It has a nice gold strip across the front which loudly states that it is from River Island, as do most purses/bags from the store. I love the holographic material, all the swirling colours just fascinate me. This will definitely make a statement, when I pull it out in a shop to pay for something! I was also thinking it would be used as a little clutch as my phone fits inside and it's pretty big for a purse. 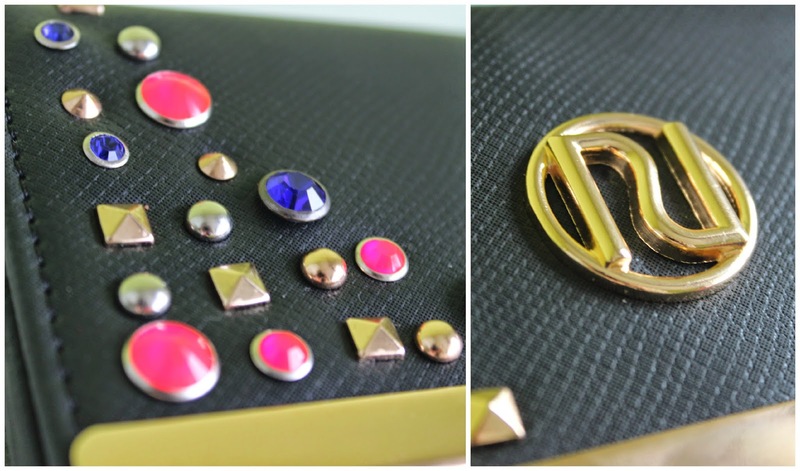 The second purse is a black "leather" purse which is covered in intricate gems and studs of different sizes and colours. 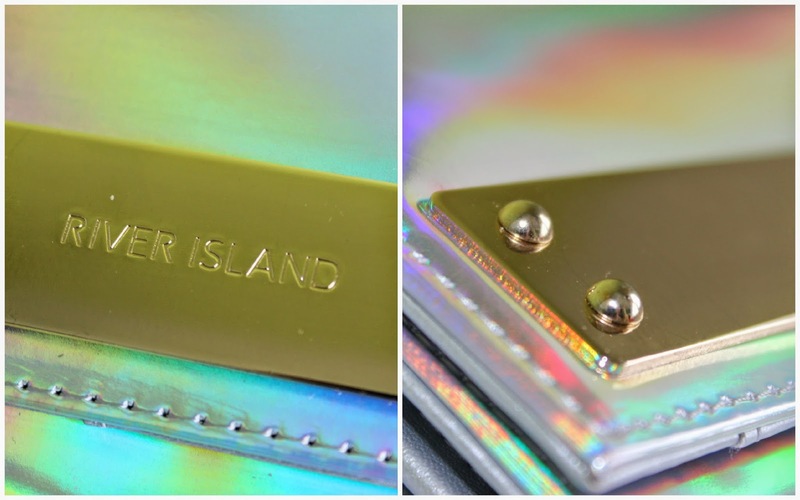 This purse also has a gold strip across the front and a large gold River Island logo in the centre. 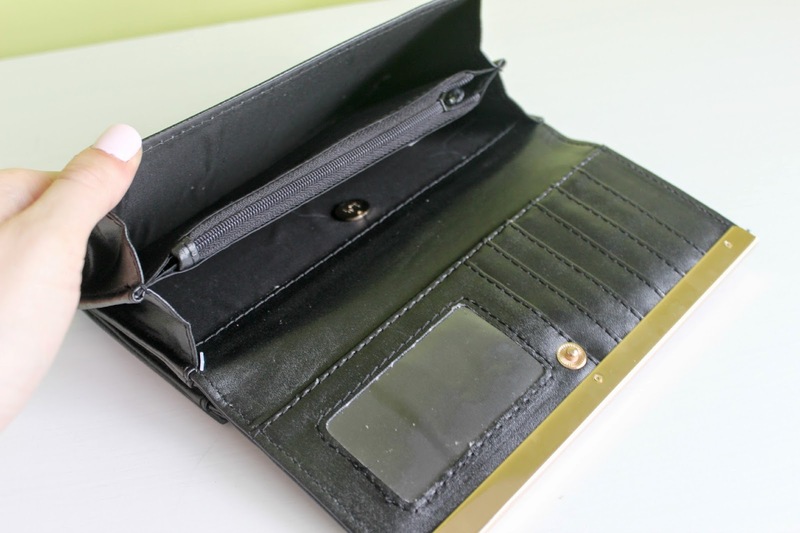 However it has a slightly different design and shape to the other one as it features two different sections, a normal section at the front, where you have to lift up the front flap and another at the back which can be opened by twisting the little gold handles. I can't wait to use them and show of my new purses, the only problem is, which one should I use first? Following you now with Bloglovin. Will appreciate if you follow back too! 15 years young makeup addict, tea drinker and lover of all things pretty.